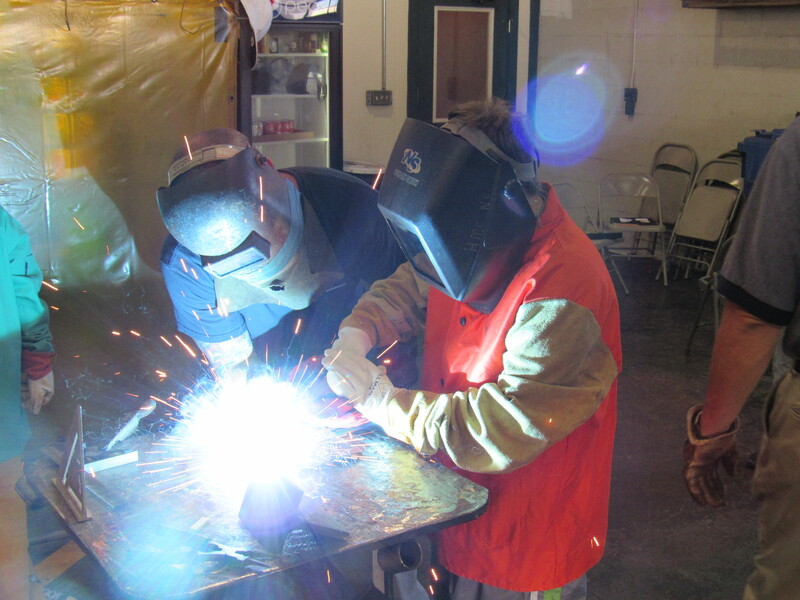 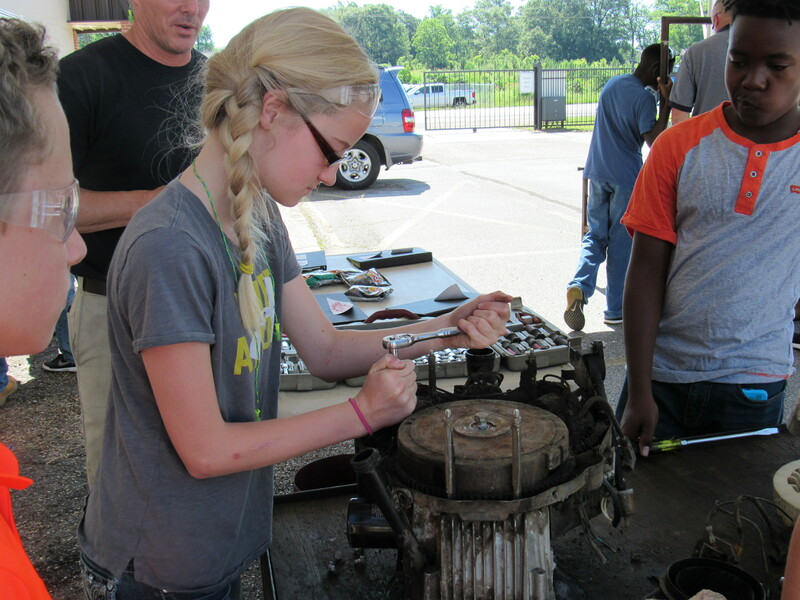 A summer in Bay Springs would not be complete without Hol-Mac Corporation’s Tinkers Camp. This year’s event marked the ninth graduating class since its inception in 2008. Tinkers Camp has been a huge success and continues to an integral outreach into the local community. 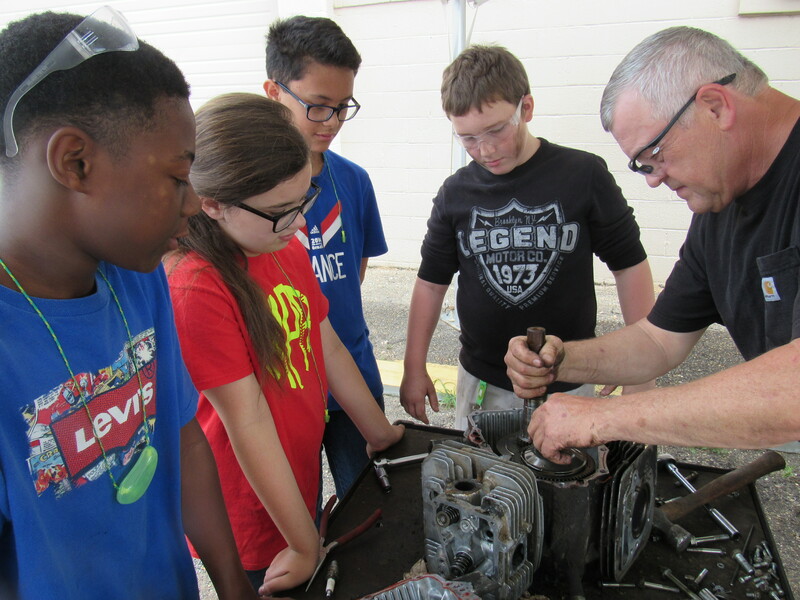 At the week long camp, hosted June 6th through 10th, students learned to tinker with such things as 4-cycle engines, ropes and pulleys, a drill press, hydraulics, and electronics. 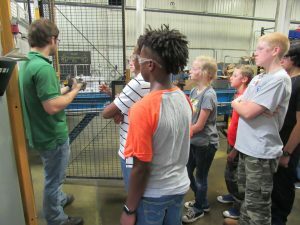 The focus of the camp is to help students with their studies, give them a positive outlook on learning and expose them to technical information that will help them in the future. Each year Mr. Charles Holder enjoys sharing “life lessons” with the campers.